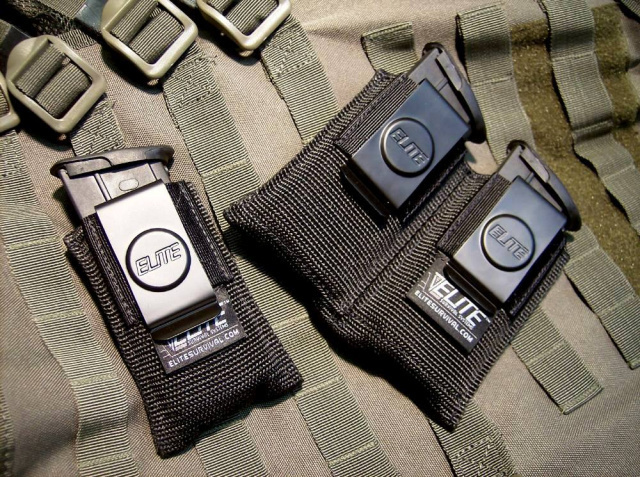 The single open magazine pouch holds one 5.7x28mm magazines, and is designed to be worn inside the pants. It is constructed of heavy-duty webbing with dual steel spring clips. Clips fit over belts up to 2.25" wide.